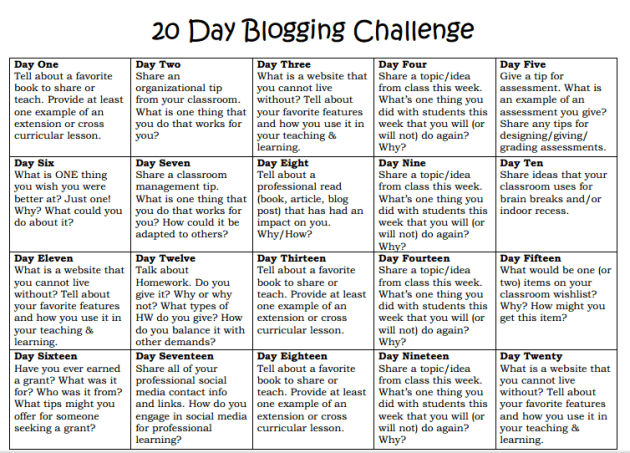 My blogging has been sporadic at best. Then a few days ago I came across a tweet from @kellyhines. Kelly is a teacher from North Carolina who I have followed for years on twitter and got to meet at DENSI last summer. 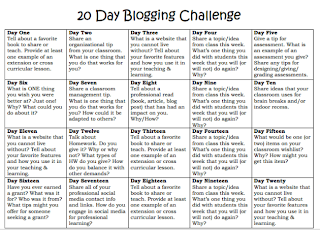 She has started a blog challenge and so I thought I would try it out. It is exactly what I need - topics to talk about! This is the challenge if you want to join me. I'm so glad you are along for the ride! I can't wait to follow your journey! Thanks Kelly, you have me excited to write!